Venture out to the wild, wild west to this 6,000 acre cowboy ranch, just a short distance from metropolitan Denver. 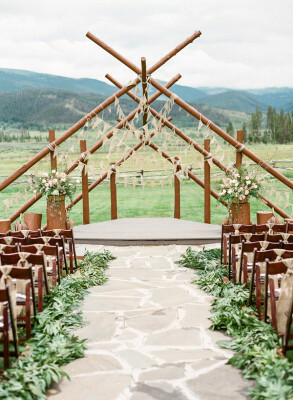 Since 1938, this ranch retreat has served as the ideal destination for broncos and city-folk alike to experience all that the Colorado wilderness has to offer, without sparing any elegance. 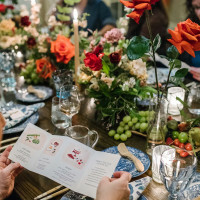 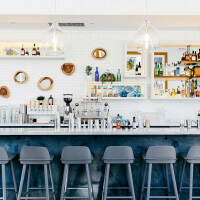 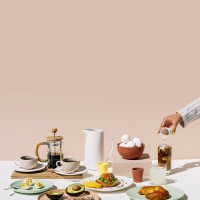 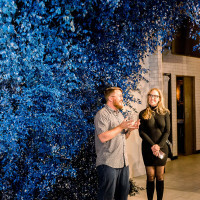 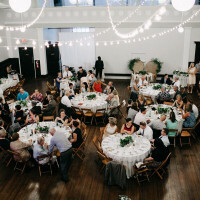 With numerous award-winning restaurants, varied meeting rooms and even a revamped, Civil War-era venue space, you’ll feel right at home on these wide open spaces. 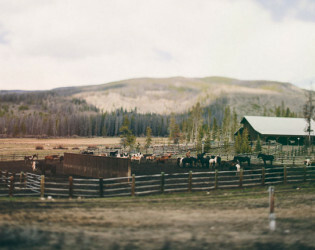 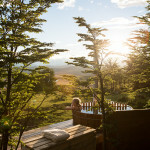 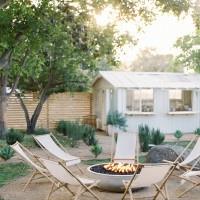 Few places on earth give you the sense of awe and romance that you'll feel at Devil’s Thumb Ranch Resort & Spa. 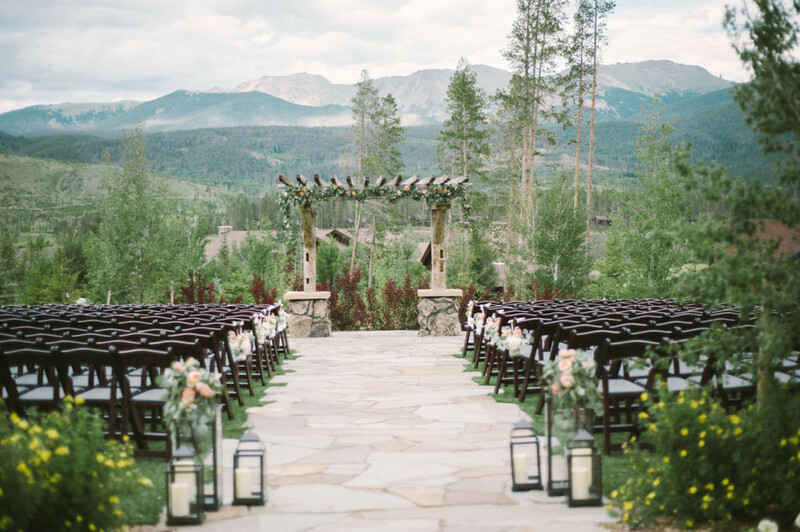 And fewer still can combine that feeling with facilities and staff that can make your Colorado mountain wedding truly a memory to treasure. 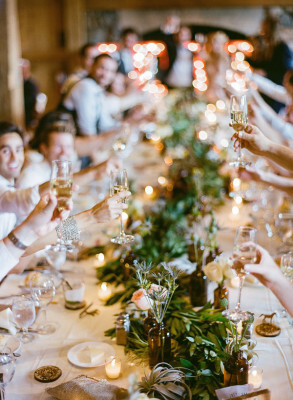 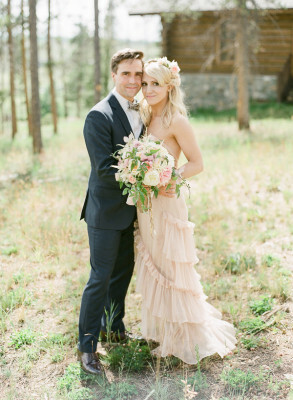 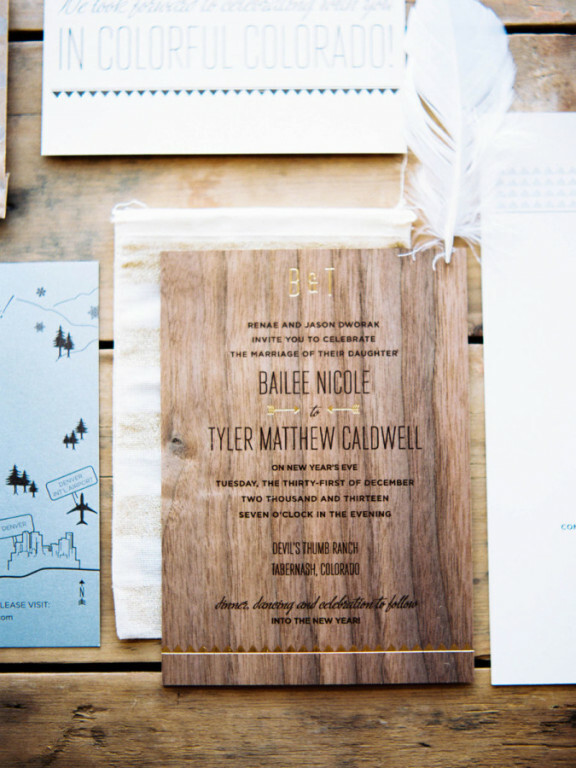 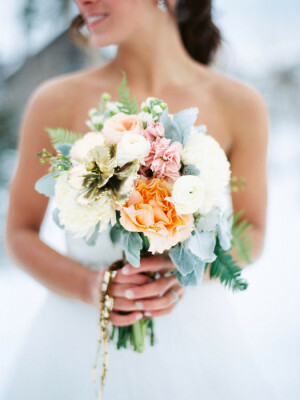 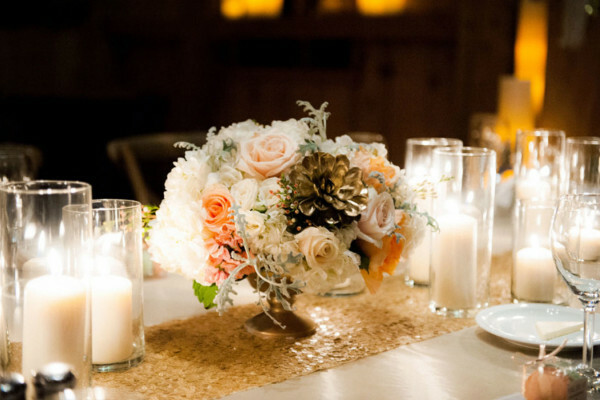 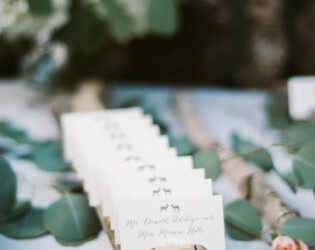 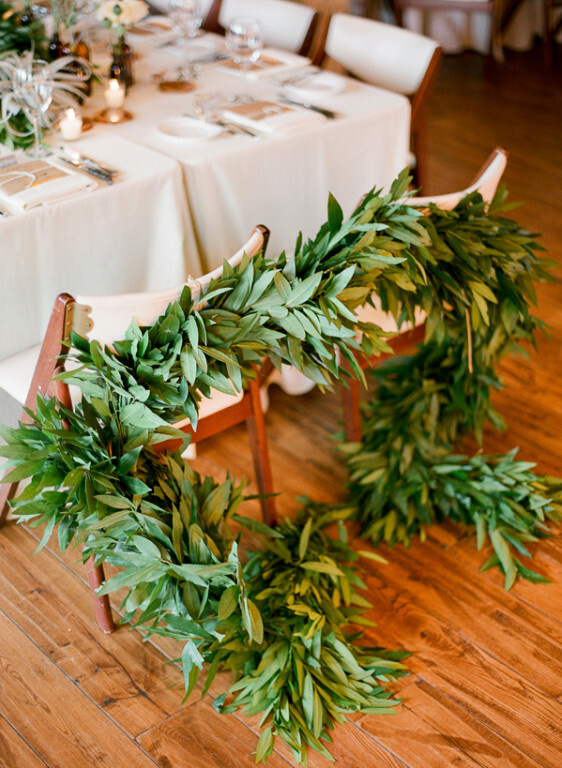 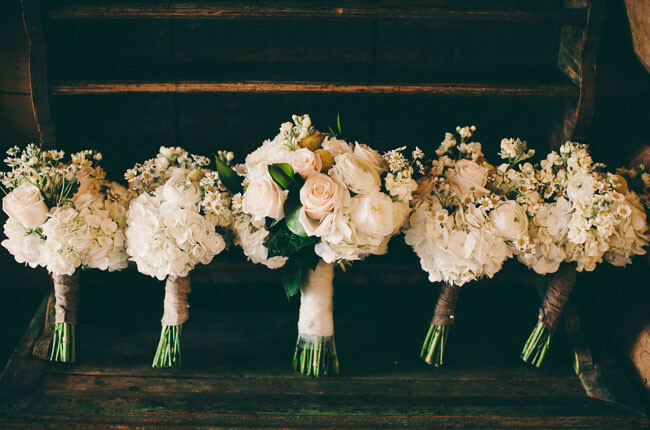 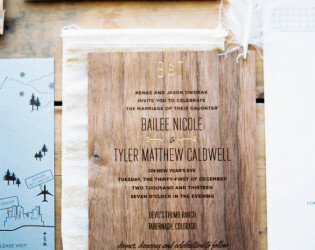 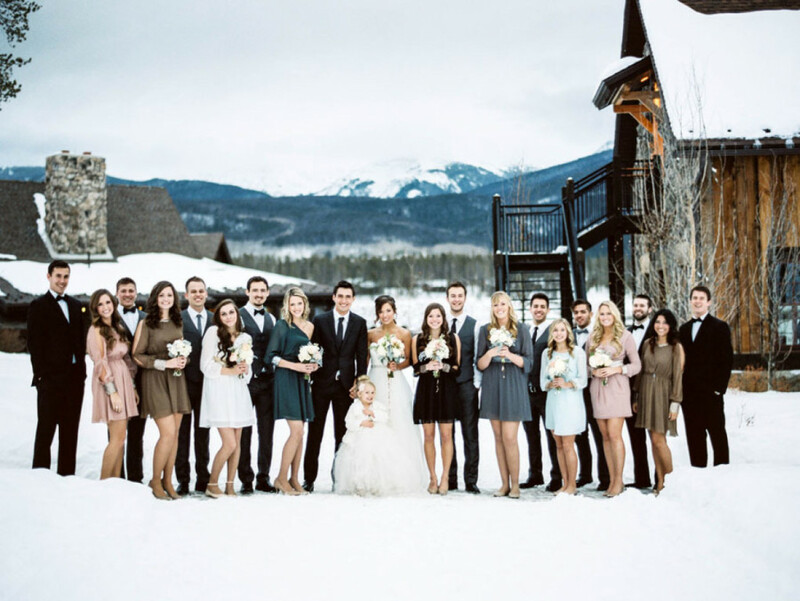 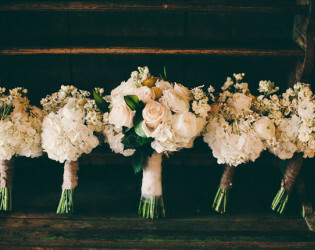 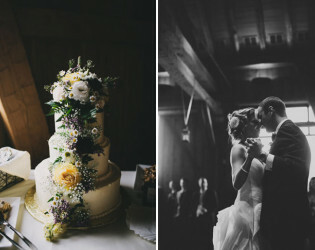 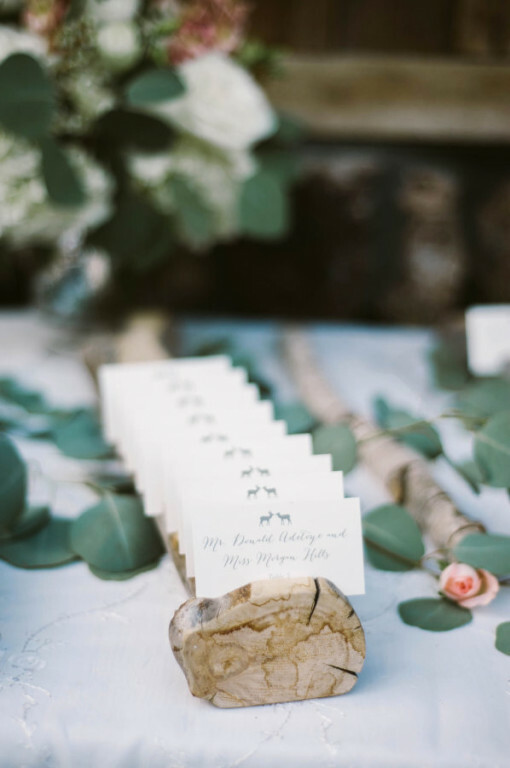 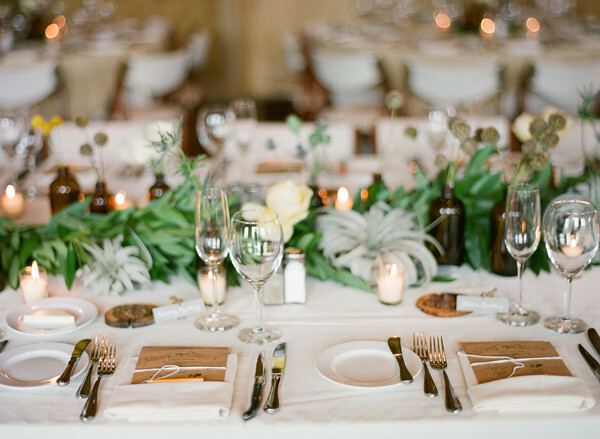 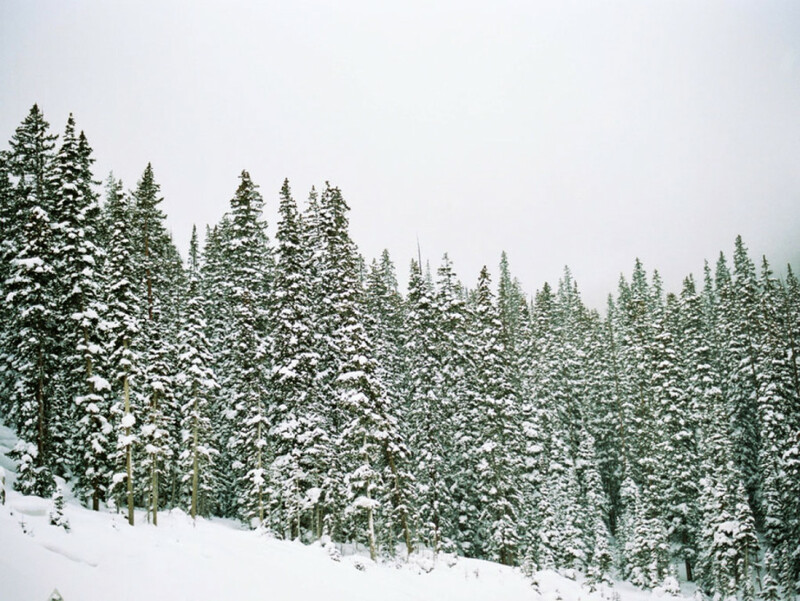 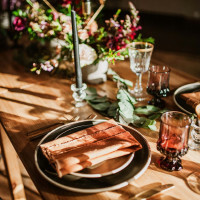 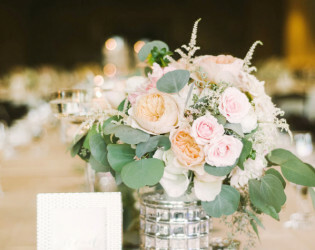 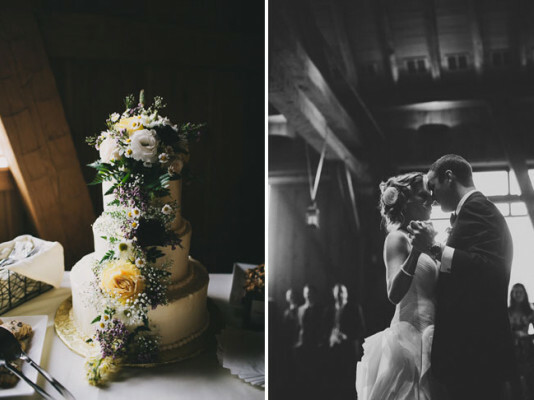 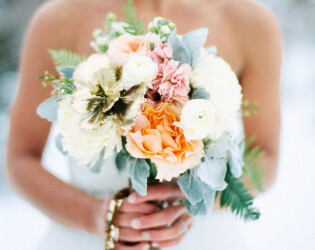 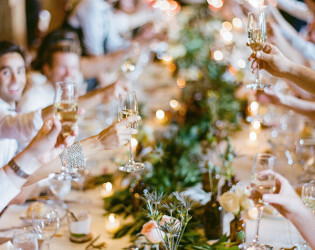 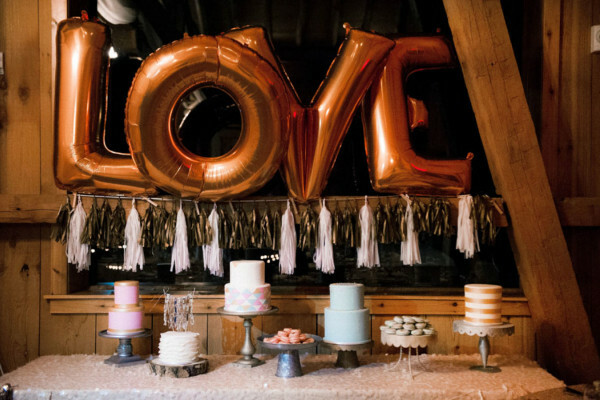 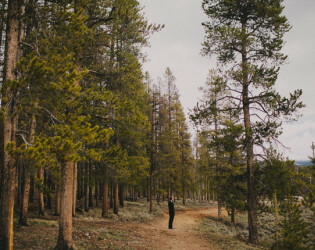 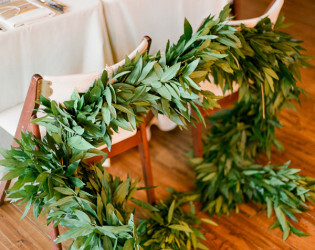 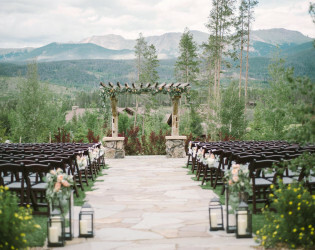 Whether you're planning a casual outdoor wedding or an elegant black tie event, you'll be able to create your vision of the perfect mountain wedding. 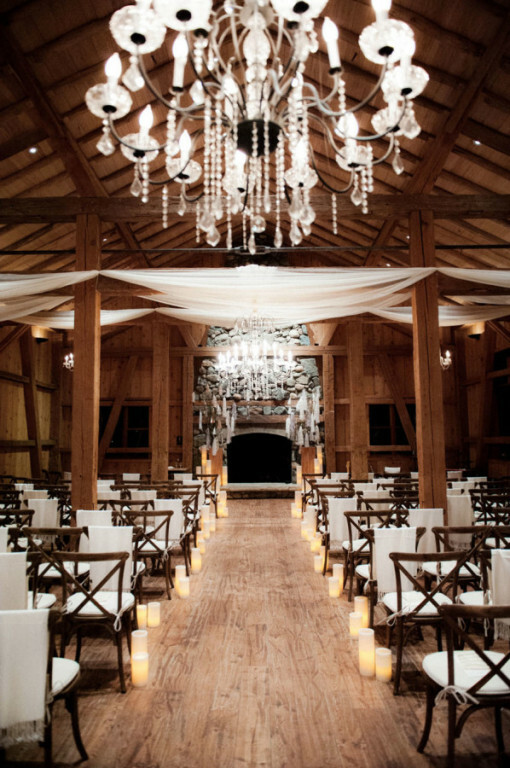 Nestled on the hillside overlooking the Ranch, our new High Lonesome Barn, Loft, Wine Grotto, and outdoor Pavilion are ideal for groups of up to 350 people. 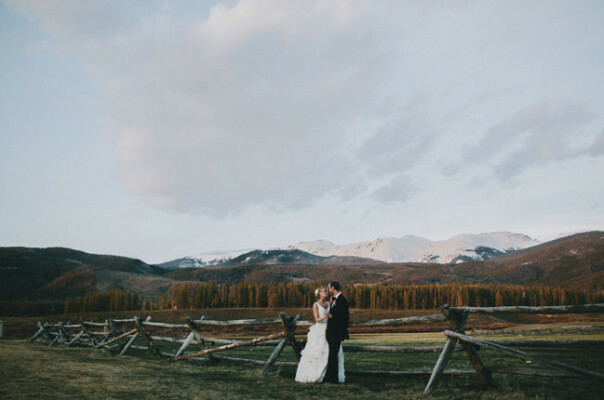 The 4,200 square foot High Lonesome Barn is a Civil War-era structure moved here piece by piece from Ohio, with a wall of windows and unparalleled views of the Continental Divide and Ranch Creek Valley. 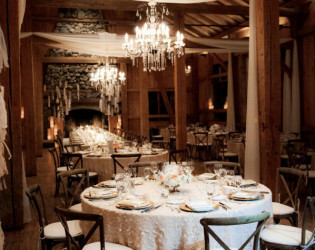 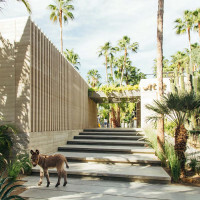 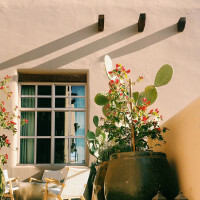 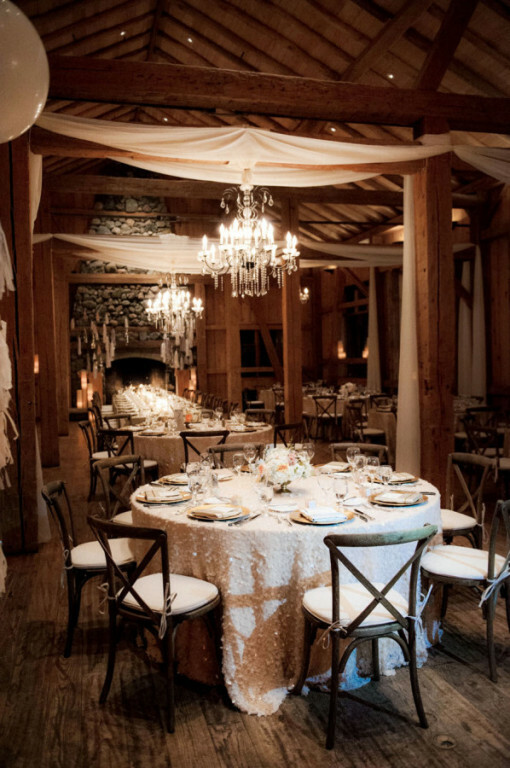 The High Lonesome Loft is perfect for groups of up to 100 people, the Wine Grotto seats 40 people for private dinners and the 3,000 square foot outdoor Pavilion is great for events of up to 230 people. 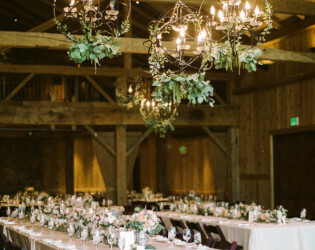 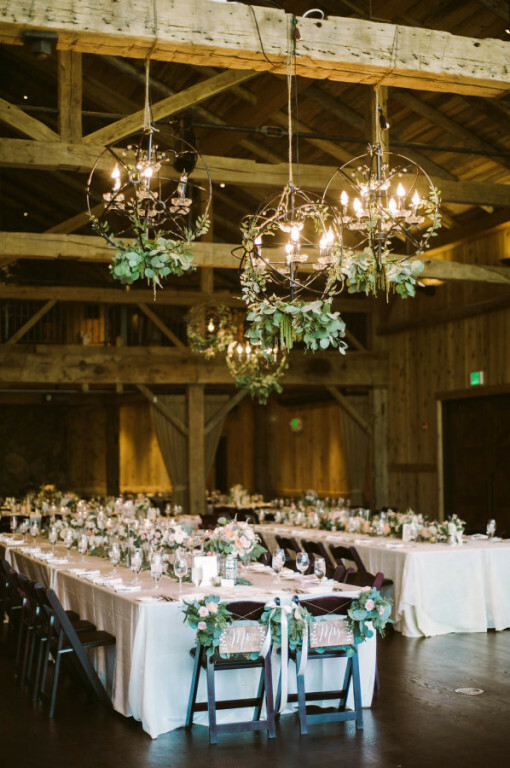 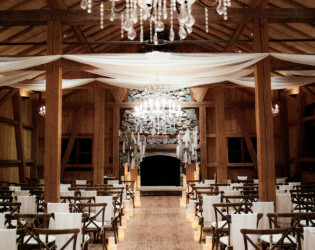 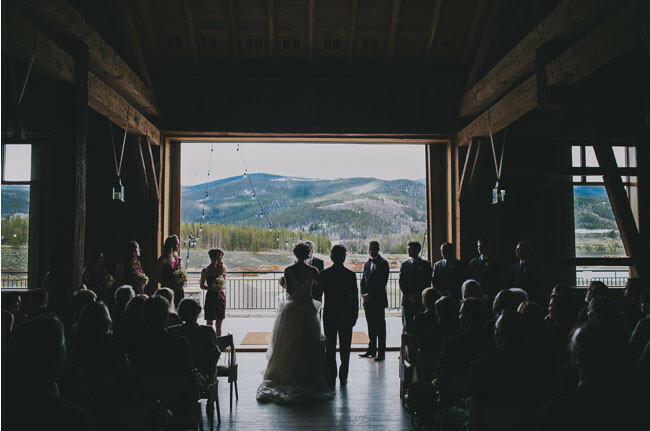 Our 2,900 square foot indoor reception room, The Broad Axe Barn, is built from the hand hewn beams recovered from a Civil War-era Indiana barn and features a 25 foot vaulted ceiling, 7 x 10 foot windows and a 2,200 square foot deck with stunning views of the Continental Divide. 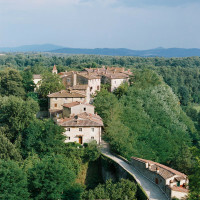 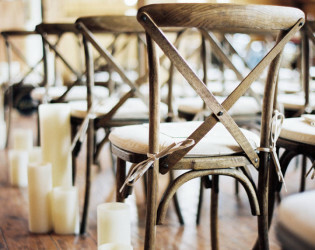 It's the perfect venue for weddings up to 160 persons. 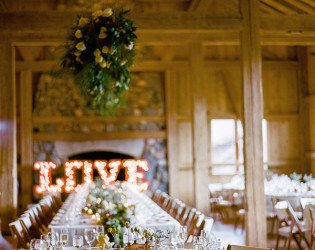 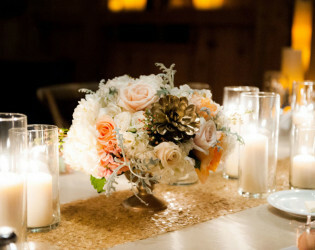 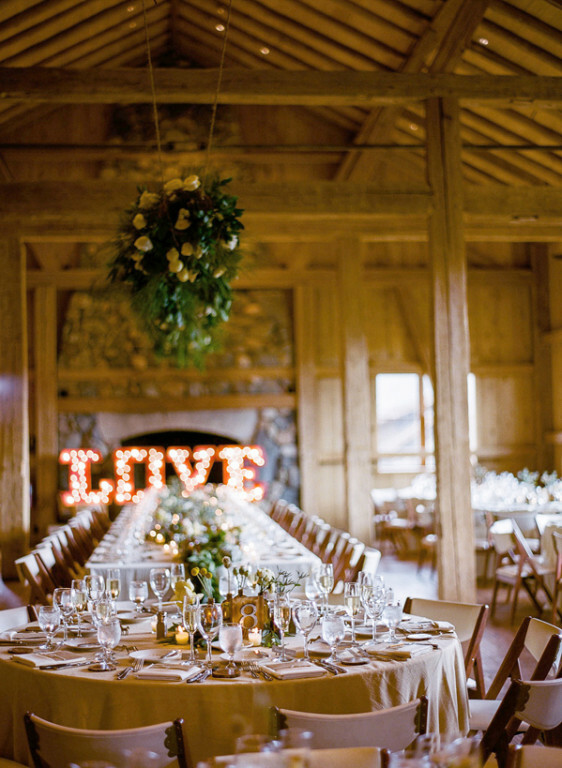 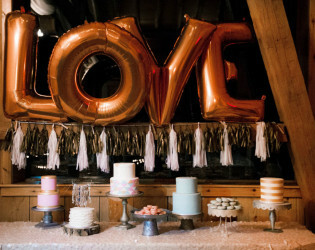 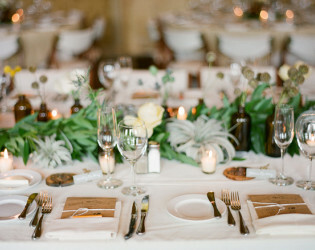 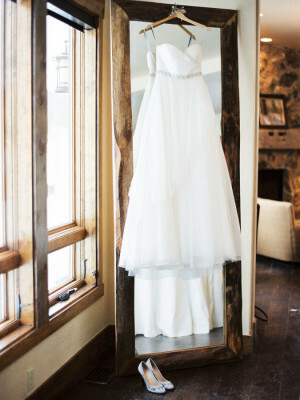 We also offer more intimate spaces for smaller weddings. 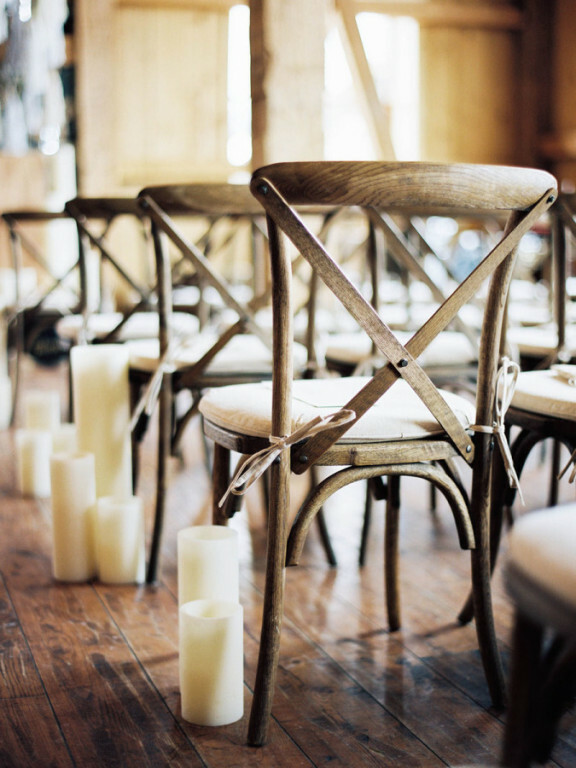 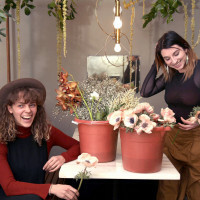 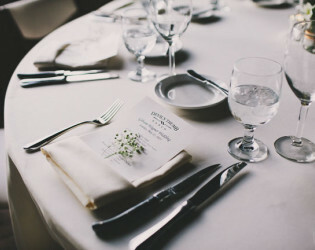 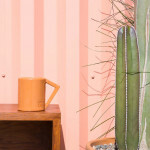 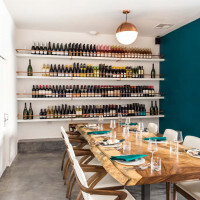 A perfect spot for those seeking a more intimate venue for their event. 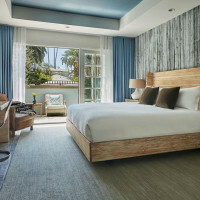 150-year-old hand-hewn beams frame this 900 square foot room. 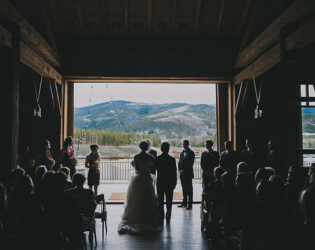 Its windows are nearly all glass, allowing for a 240 degree view of the scenic Ranch Creek Valley and Continental Divide. 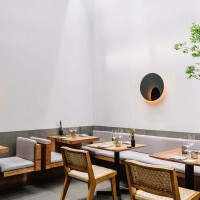 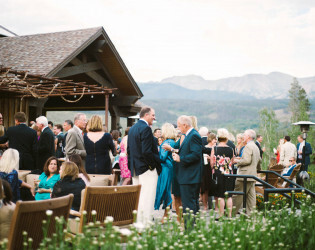 This room also opens onto our 2,200 square foot outdoor deck. 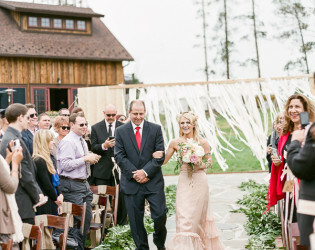 Built in 2011, the Yager House is our newest venue. 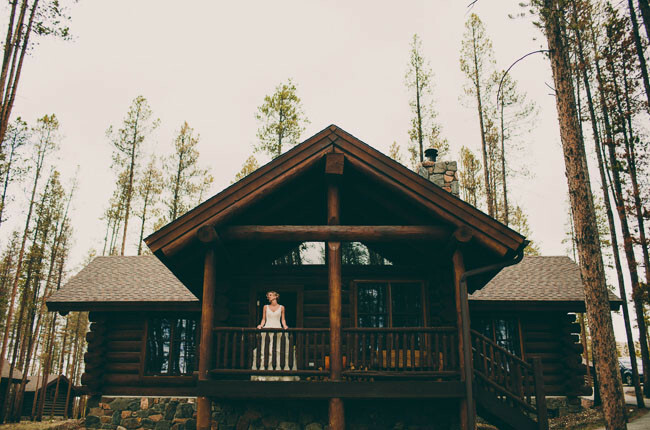 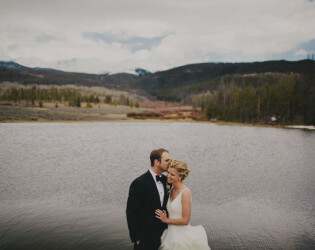 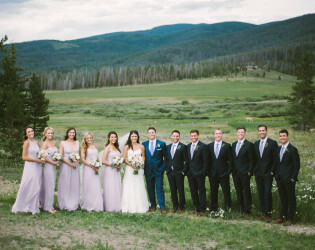 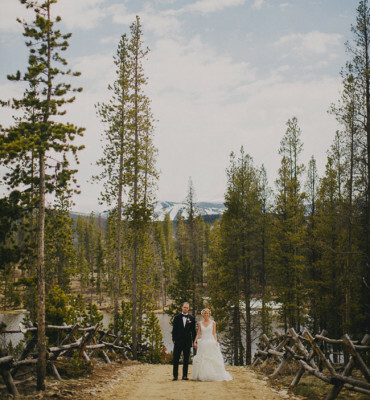 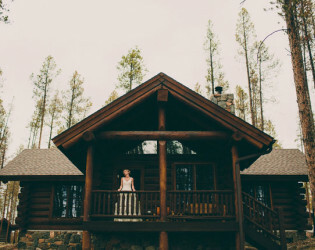 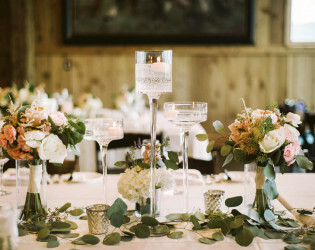 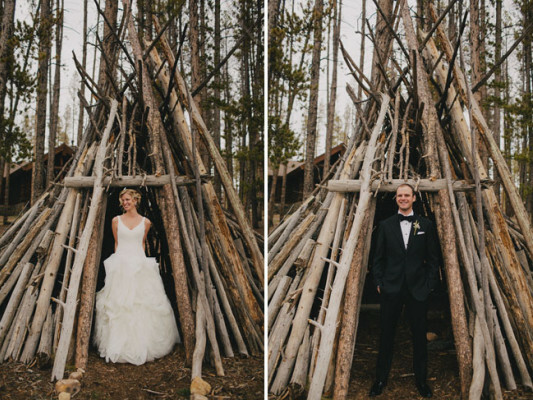 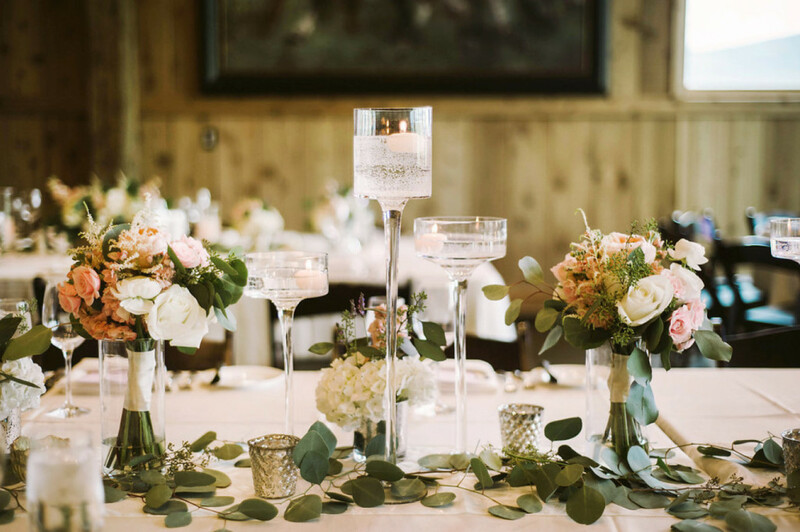 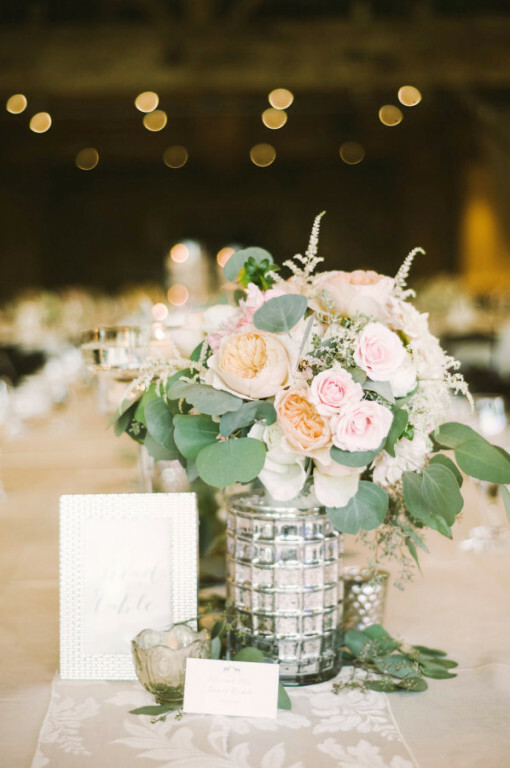 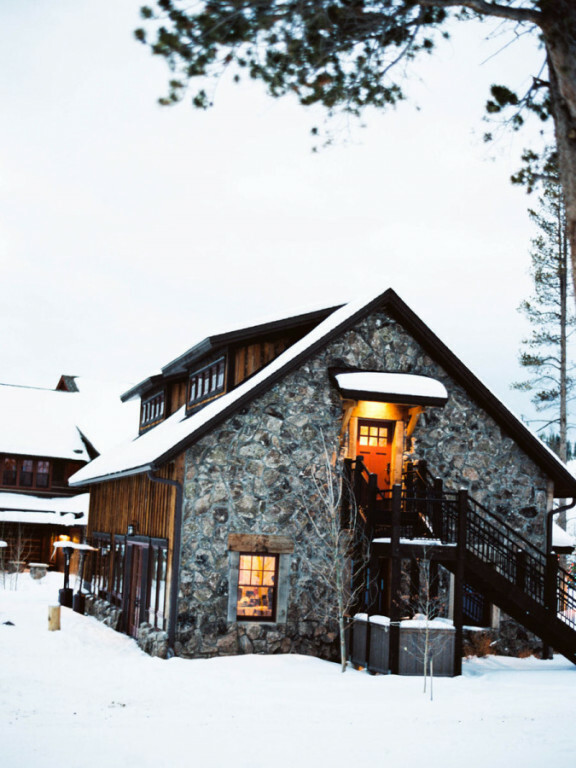 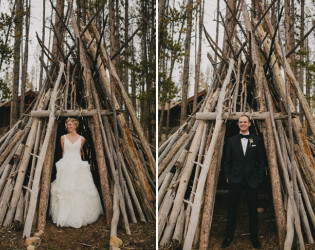 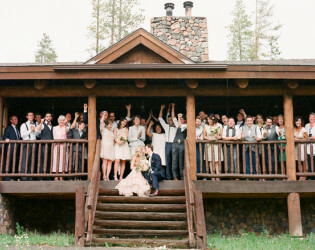 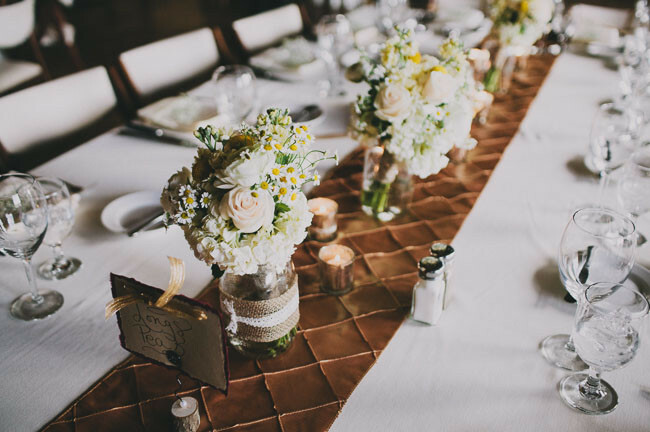 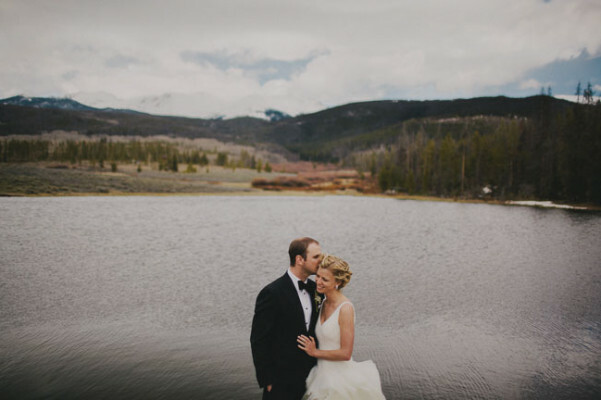 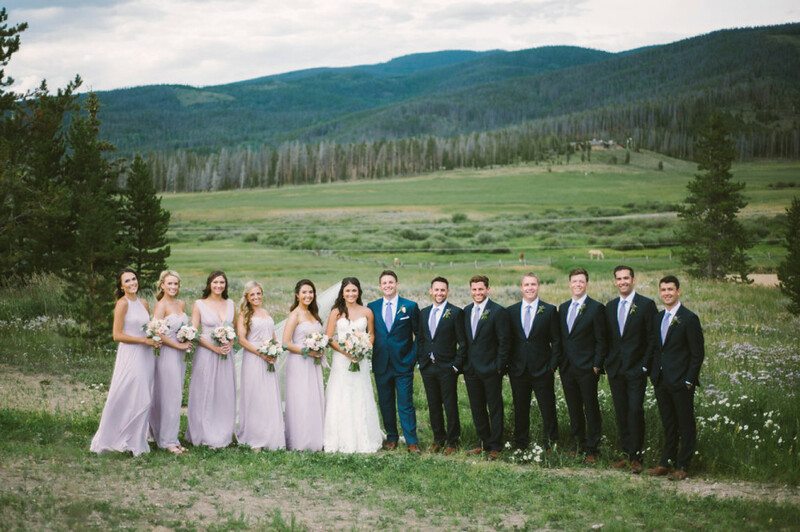 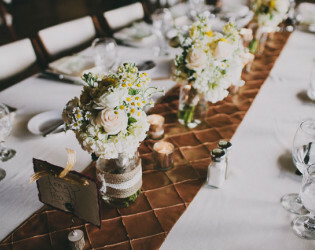 Built as a gathering place, the Yager House provides cozy corners, ample space for meetings or getting ready for your walk down the aisle, and breathtaking views of the Continental Divide. 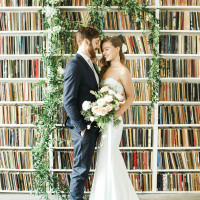 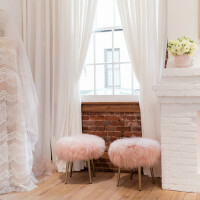 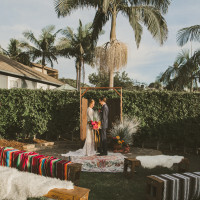 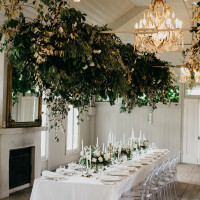 This space is open and inviting and serves as the perfect vantage point for brides who want to watch their guests arrive at the ceremony site. 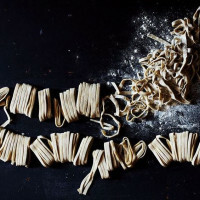 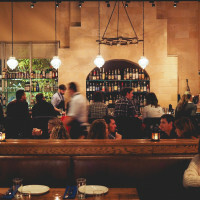 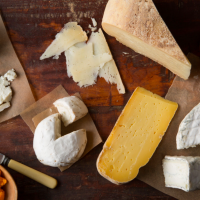 Food & beverage is subject to service fee, currently 22% and tax, currently 4.2%. 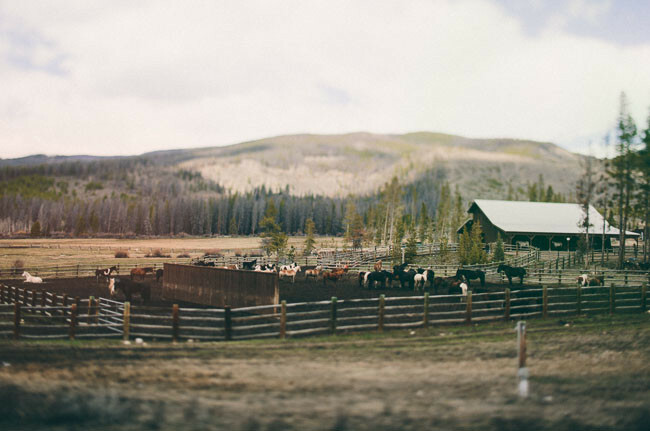 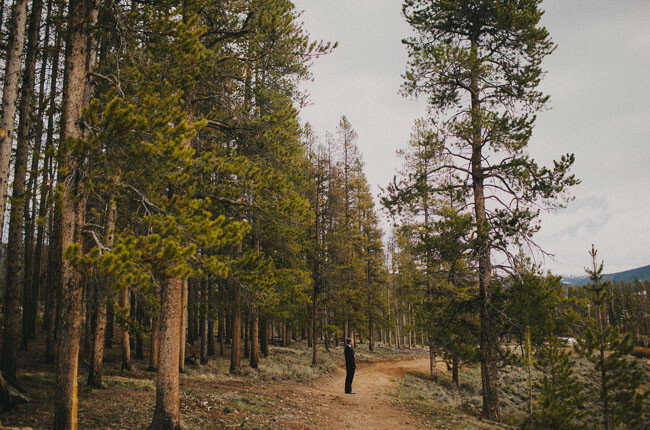 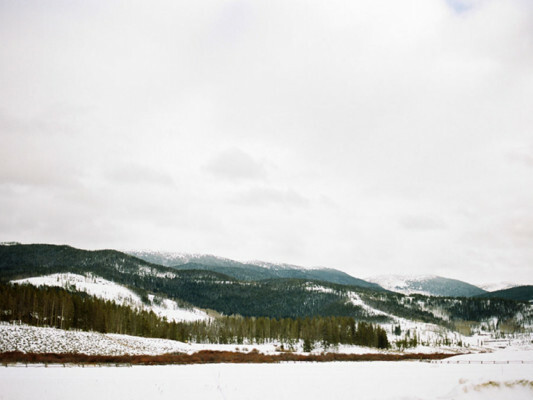 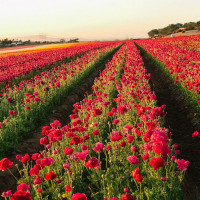 Less than 10 miles from Winter Park and just 70 miles from Denver, tucked neatly at the base of the Continental Divide, Devil’s Thumb Ranch Resort & Spa offers both relaxation and mountain-style adventure sure to make a lasting impression. 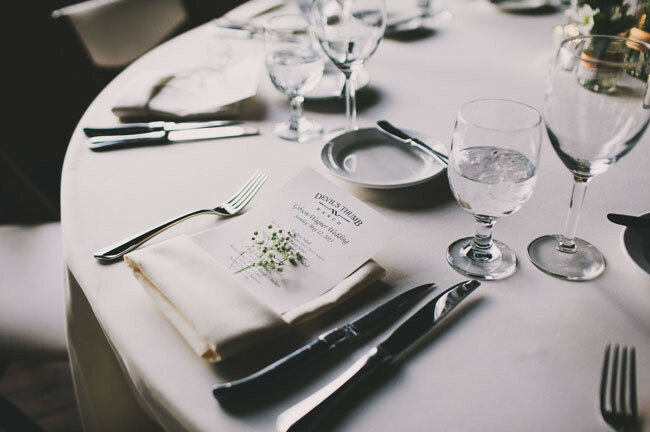 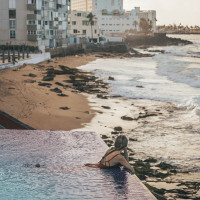 Our goal is to welcome you and your guests as friends. 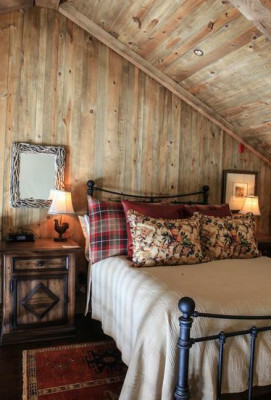 We guarantee you’ll be comfortable from the minute you arrive on our 6,000 acres. 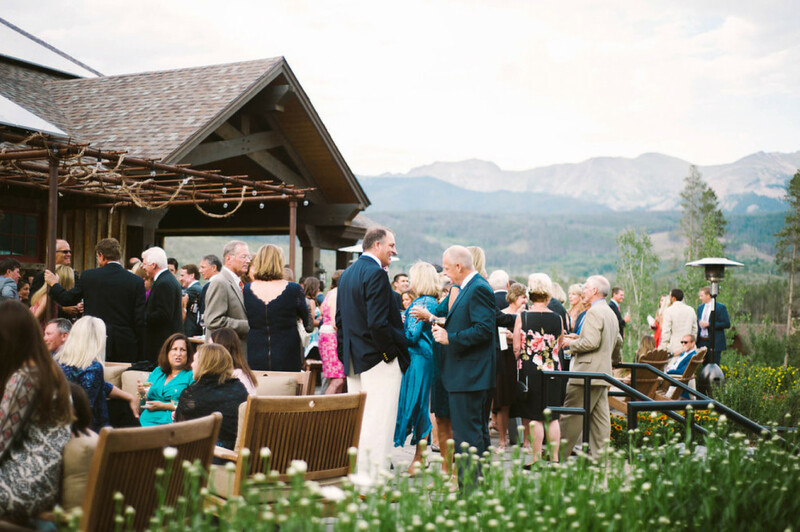 Far from your everyday resort, Devil’s Thumb Ranch Resort & Spa offers spectacular accommodations in an authentic Rocky Mountain setting that will motivate, inspire and invigorate your guests. 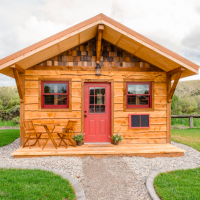 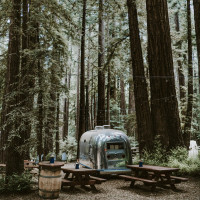 Overnight accommodations include 16 Ridge Top Cabins, a 35 room High Lonesome Lodge, a 52 room Main Lodge, and a 13 room Bunkhouse, ideal for budget conscious groups. 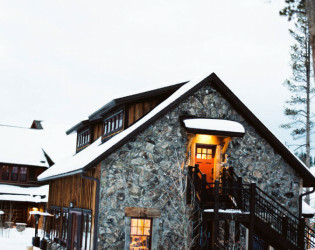 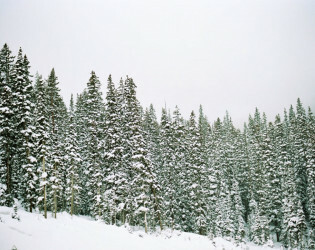 Additionally, a 15 room Inn and 40 room Inn are located in nearby downtown Winter Park. 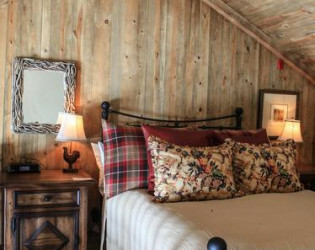 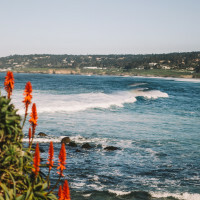 Cabins and lodge rooms feature hand-selected antique furniture, cozy bathrobes, snuggly down comforters, heated bathroom floors, and soft down pillows. Many have fireplaces, separate sitting areas and porches. Few places on earth give you the sense of awe and romance that you'll feel at Devil’s Thumb Ranch Resort & Spa. 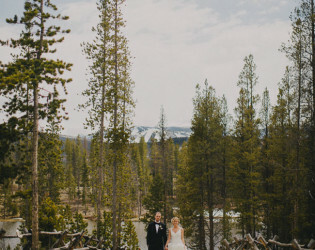 Whether you're planning a casual outdoor wedding or an elegant black tie event, you'll be able to create your vision of the perfect mountain wedding. 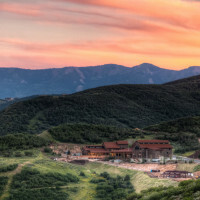 Less than 10 miles from Winter Park and just 70 miles from Denver, tucked neatly at the base of the Continental Divide, Devil’s Thumb Ranch Resort & Spa offers both relaxation and mountain-style adventure sure to make a lasting impression. 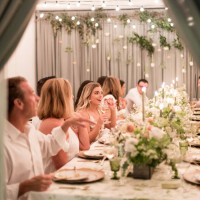 With our wide array of spaces, facilities and activities, many folks find us to be just the right spot for special get-togethers. Far from your everyday resort, Devil’s Thumb Ranch Resort & Spa offers spectacular accommodations in an authentic Rocky Mountain setting that will motivate, inspire and invigorate your guests. 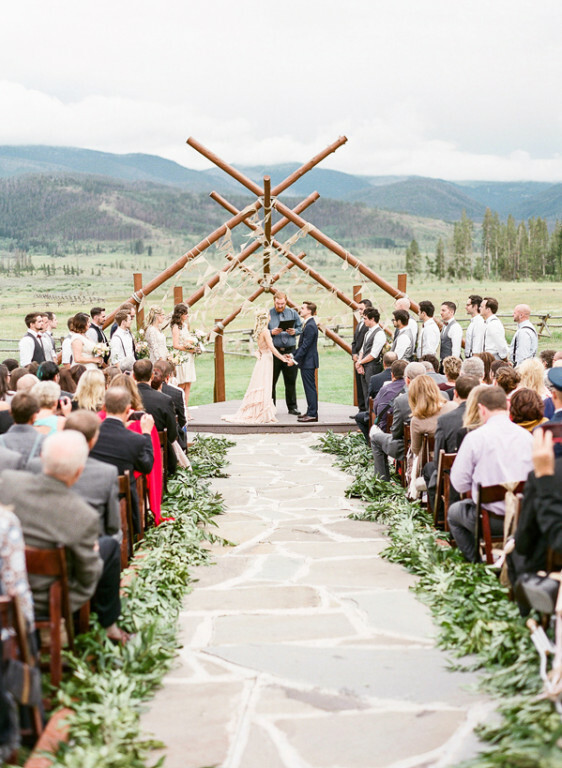 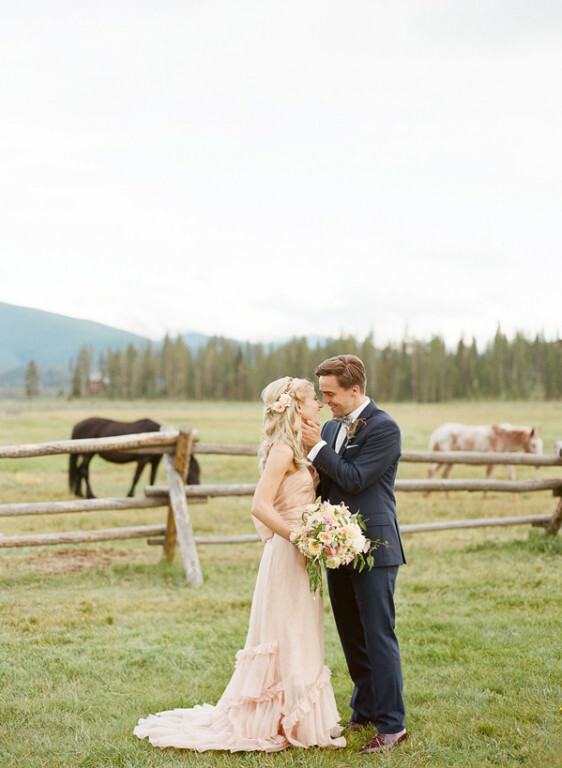 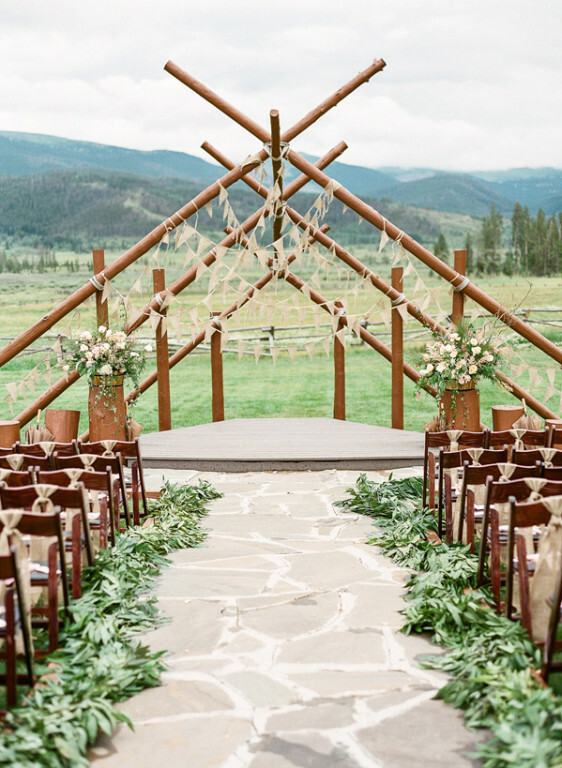 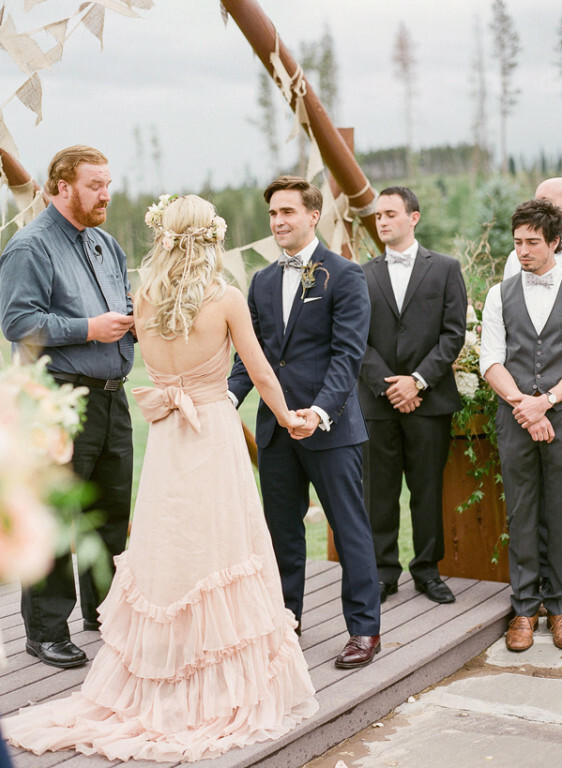 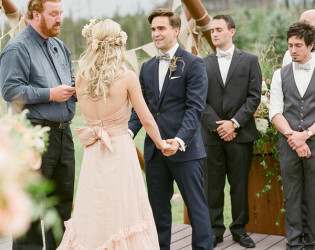 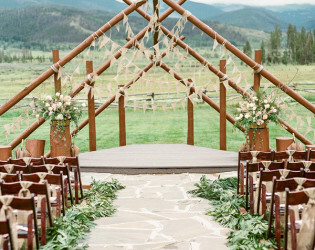 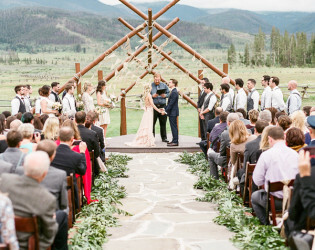 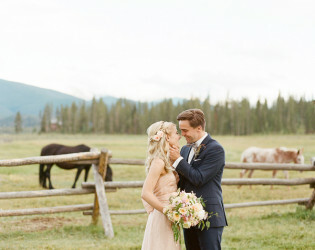 Wedding ceremony with a stunning mountain backdrop. 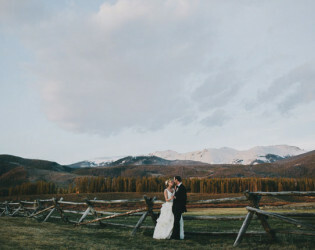 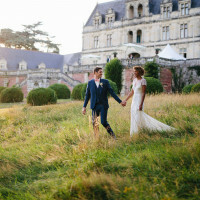 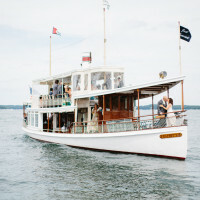 Beautiful scenic backdrops for wedding portraits.